You scream, I scream, we all scream for - that's right - ice cream! 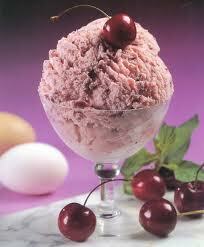 Ronald Reagan designated July as National Ice Cream Month in 1984. He also appointed the third Sunday in July as National Ice Cream Day. Reagan recognized the popularity of ice cream in the United States (90% of the nation's population consumes ice cream) and stated that these two events should be observed with "appropriate ceremonies and activities."